Oh the traditional smash cake. 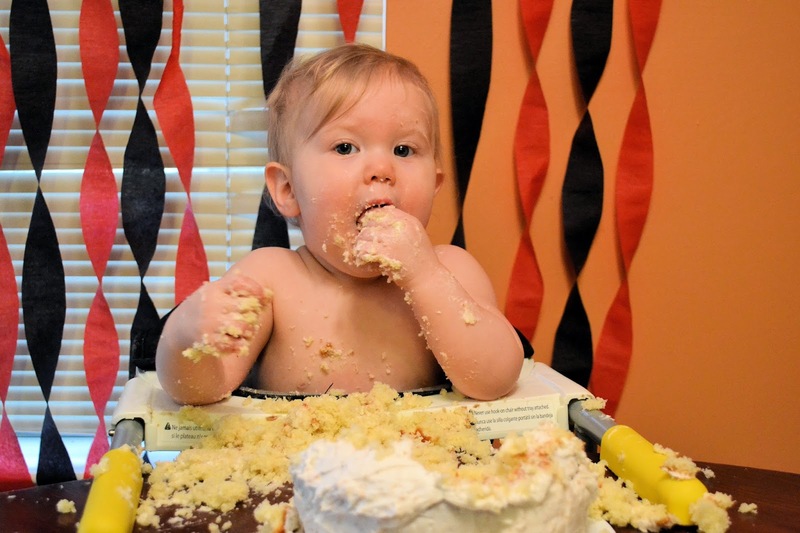 At first, Willa was just having fun playing in the icing and digging her hands into her cake. We had to put a bit in her mouth so she would realize she was supposed to eat it. And then destruction happened. Good job, baby girl.